How nice it is to finally see one of 7 Wonders of Nature. You are not expecting that to be the Amazon Rain Forest in South America, right? Or the Table Mountain in South Africa? 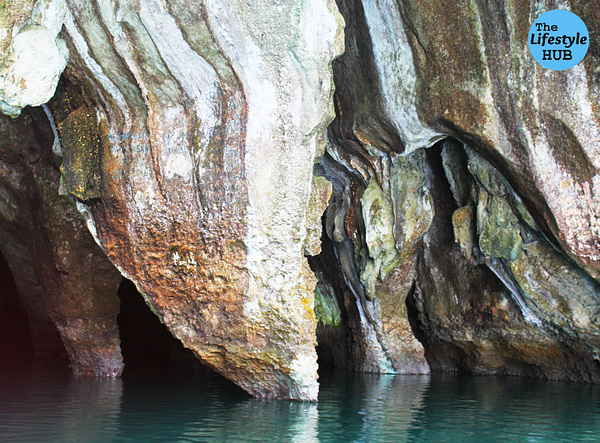 Someday maybe but for now, I'm blessed to have finally boat my way inside Puerto Princesa's Subterranean River. That is certainly one check on my bucket list. 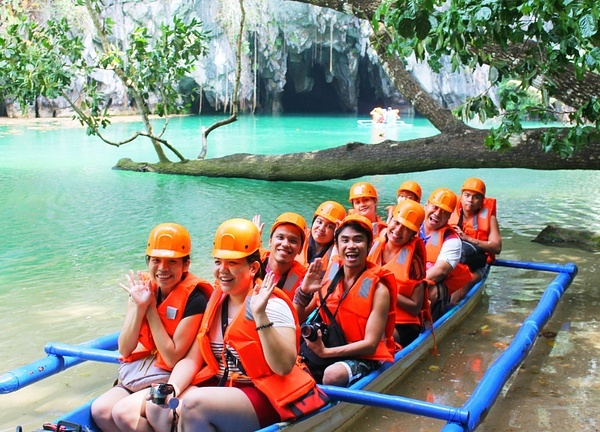 On my birthday trip to Palawan, part of the package me and a fellow blogger paid for is the boating ride in the Underground River. 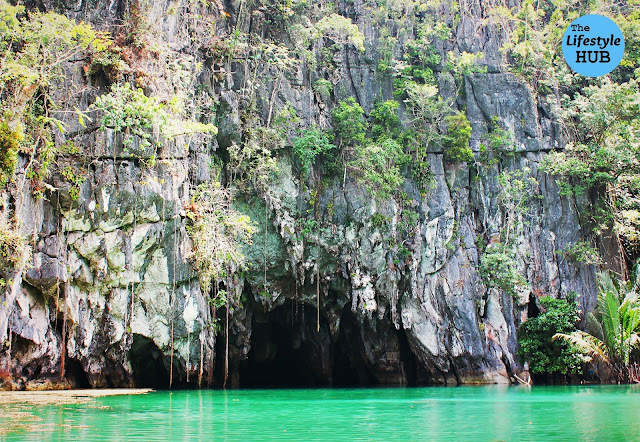 The package which costed us around PhP5,600 included the river cruise, city tour around Puerto Princesa, island hopping in Honda Bay, and rock climbing in Ugong Rock. 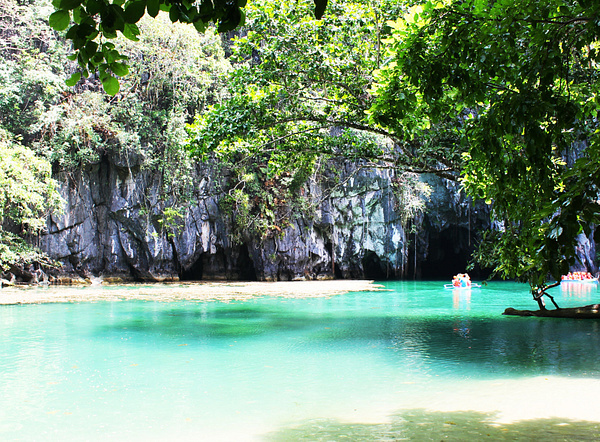 But I learned that if you will come to Puerto Princesa with the sole purpose of visiting the Underground River, one boat ride will cost around PhP800 per person including all environmental fees. 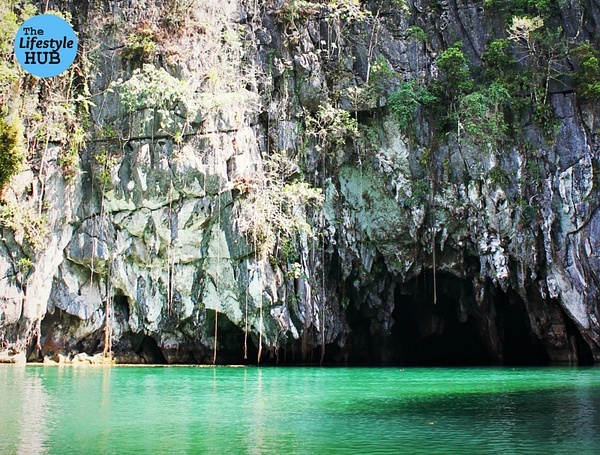 Caution though as it takes up to two months to book yourself a date with the river. 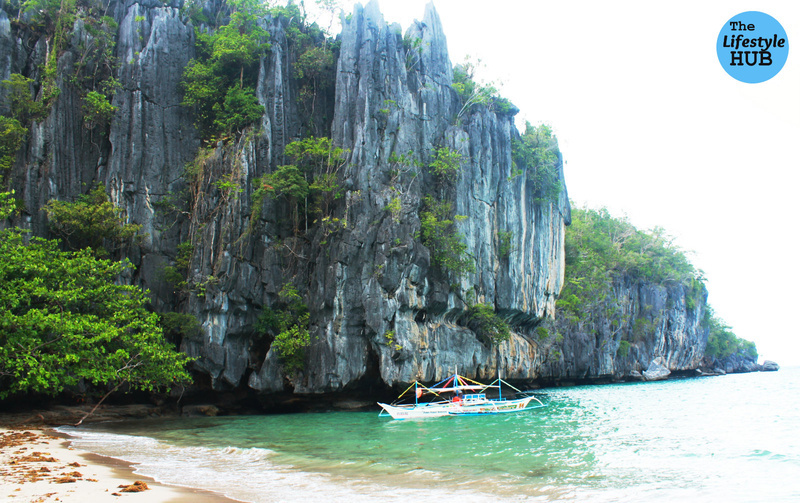 Walk-ins are certainly not popular in Palawan's most popular attraction. National Park as it is located under the St. Paul's Mountain Range. that is navigable by boat and by tourists. 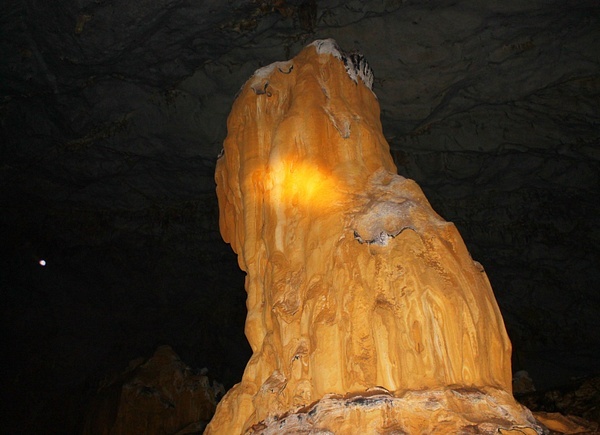 2.5 million square meters volume and one of the largest cave rooms in the world. rain forest, riverine forest, beach forest, and mangrove forest. river's entrance are these rock formations and the pristine white sand beach. Here'a video I captured on our way out of the river.